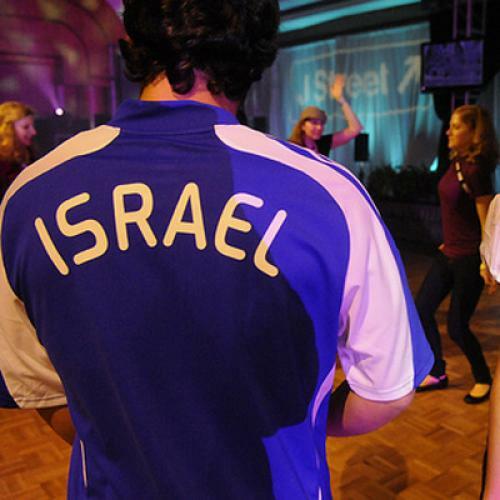 Will the new Israel lobby disavow its extreme left flank? The self-declared mission of J Street, the dovish "pro-Israel, pro-Peace" lobby that just concluded its first national conference this week, includes redefining the meaning of the term "pro-Israel." For too long, the organization's founders and supporters argue, right-wing elements in the Jewish community have abused the term to hijack the debate and tarnish mainstream, sensible advocates of a two-state solution. J Street's "pro-Israel" bona fides were questioned almost immediately after its launch, and with good reason. For starters, the organization took needlessly provocative stands, like backing the decision to stage the play, Seven Jewish Children, which compares the suffering of Jewish youth under Nazi Germany to that of Palestinians in the occupied territories. J Street initially stayed out of the controversy surrounding the appointment of Chas Freeman chairman of the National Intelligence Council. (Freeman is a former ambassador to Saudi Arabia who ran a think tank that published the infamous "The Israel Lobby and U.S. Foreign Policy" paper by professors Stephen Walt and John Mearsheimer.) But it rushed to Freeman's defense after he backed out and issued a stinging broadside against his critics, whom Freeman alleged were working on behalf of "a powerful lobby determined to prevent any view other than its own from being aired." J Street Executive Director Jeremy Ben-Ami echoed Freeman's attack: "In their view, intimidating those who would otherwise speak their mind on Israel is the ultimate service to protect and defend the state of Israel." In the wake of these public defections, Ben-Ami granted an interview to the Atlantic's Jeffrey Goldberg in which he repositioned himself much closer to the center. He criticized Walt and Mearsheimer's views and backed away from his initial calls for Israel to negotiate with Hamas. He said that the prospect of threatening to cut off military aid to Israel "should not be on the table." And, he added, "I hope that we have a very strong left flank that attacks us." But Ben-Ami's stated goal of having J Street represent "the center" of American Jewish sentiment on Israel was undermined by a variety of events at this week's conference, most notably a bloggers panel featuring the likes of avowed anti-Zionists Philip Weiss and Max Blumenthal, as well as Helena Cobban, the newly-appointed executive director of the Council for the National Interest, one of whose founders has spoken at a conference of a Holocaust denial group. At the panel, Blumenthal attacked Ben-Ami for "capitulating" to Goldberg ("What happened really disappointed me, at least on the point of Walt and Mearsheimer," he said) and mocked Elie Wiesel for investing money with Bernie Madoff. Though information about the event did not appear on the conference agenda and Ben-Ami told Goldberg that J Street was not giving "sanction to their beliefs," the organization provided space--adorned with a giant J Street banner--for the panel, and Ben-Ami himself dropped in on the event. While Ben-Ami has distanced himself from the Walt-Mearsheimer thesis, their theories about the Israel lobby were widely touted at the J Street conference. At a full Monday afternoon panel entitled, "The View from the Hill: Congress and the US-Israel Relationship," Democratic congressman Bob Filner cited the defeats of his erstwhile colleagues Earl Hilliard and Cynthia McKinney as examples of how the Israel lobby "intimidates" politicians. In response, freshman Democrat Jared Polis repeatedly implored the audience to avoid talking about the pro-Israel lobby in such dark tones. "I encourage everyone to resist talking about this in ways that demonize the Jewish people," he said. And while Ben Ami is trying to assert his group's Zionist bona fides, a number of speakers at the conference questioned the very idea of a Jewish state--and actually received loud applause. Cheers greeted Bassim Khoury, the former Palestinian Authority's Minister of National Economy, when he said that "if the majority of the Israeli people want to define Israel as a state with a religion like the Islamic Republic of Iran, let them." And Hussein Ibish of the Arab-American Anti-Discrimination Committee similarly received applause after delivering a lengthy denunciation of Prime Minister Benjamin Netanyahu's call for the Palestinians to recognize Israel as a Jewish state. This month, J Street faced a major test of its "pro-Israel" mantle when the United Nations Human Rights Council released its "Goldstone Report" on alleged war crimes during last year's Gaza War. Practically every major pro-Israel and Jewish organization--including the liberal National Jewish Democratic Council--has condemned the report. Yet J Street has thus far been reluctant to do so. When Reform Judaism leader Rabbi Eric Yoffie stood before the conference and condemned the report, he was greeted with both applause and booing. J Street's desire to satisfy too many constituencies may also explain its ambiguous approach to Iranian sanctions--supporting the "mark up" of the sanctions bill just passed by the House on Wednesday, but opposing its actual implementation. That J Street faces a serious identity crisis is an impression shared not only by its critics, but even its supporters. "The leadership of J Street is to the right of its base," Weiss wrote after his first day at the conference. This impression was shared by blogger Matthew Yglesias, who came away from the event shocked by the extreme views he found. Among those at the conference was Scott McConnell, editor of The American Conservative (which he co-founded with Pat Buchanan), who described it as "an exciting and historic event" and claimed to be "enthusiastic about the group." And so there is a fork in J Street, and it's unclear which direction the group will take. If the organization wants to be a serious political player, it will have no choice but to alienate many of its fervent supporters--particularly those who are largely animated by their imagined victimization at the hands of the Israel lobby and are fundamentally disdainful of the Zionist project. If these elements are not pushed away, J Street will not be seeing much traffic.